For $500, Cool Glass is a (relative) steal. 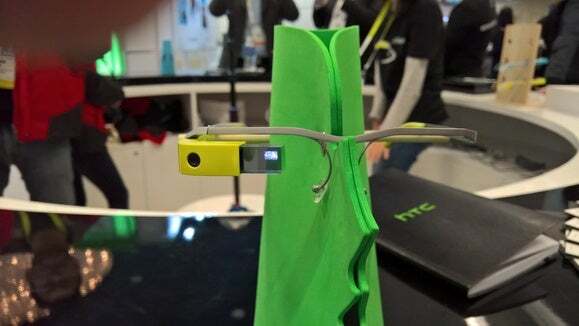 Not surprisingly, no one at the Alto Tech booth at CES wanted to call its Cool Glass a knockoff of Google Glass. But I’ve used Glass, and unless my memory deceives me, Cool Glass offers nearly the same experience at a fraction of the price: $500, specifically, versus the $1,500 Google originally charged for Google Glass. 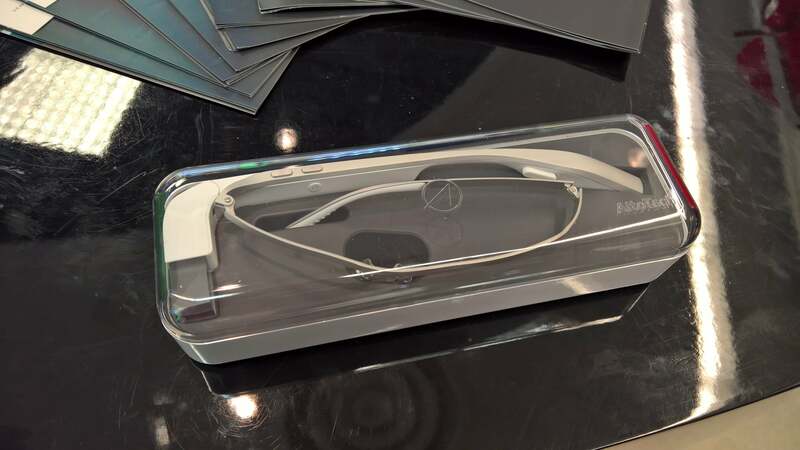 Unfortunately, Cool Glass is being sold into the Chinese market—although company representatives said they hoped to bring the device to the U.S. this April. 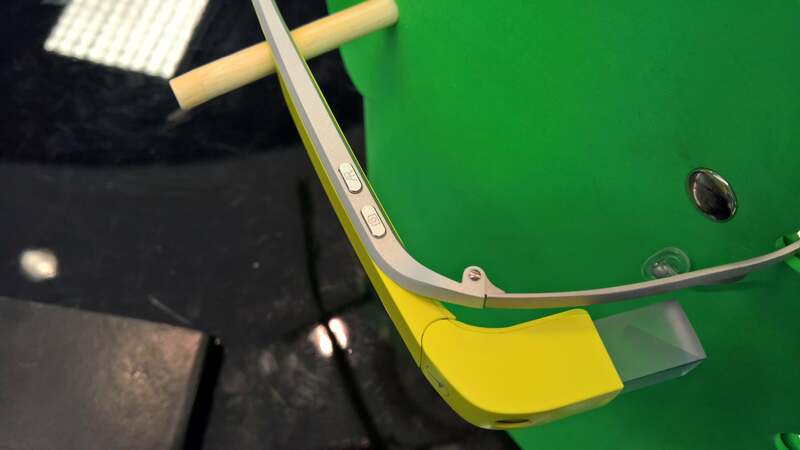 Cool Glass looks quite a bit like Google Glass. 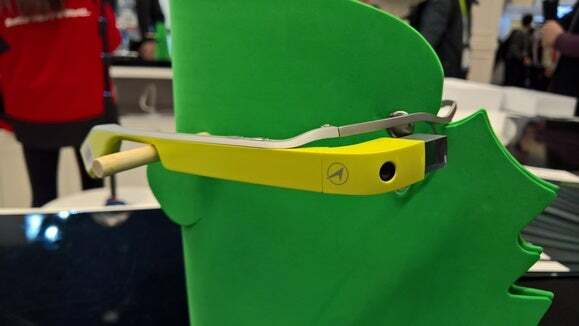 Alto Tech showed how Cool Glass works as just a frame, allowing a user to slip his or her own glasses (including sunglasses) inside the device. Like Google Glass, Cool Glass embeds its data inside a rectangular plastic prism that curls in front of your right eye, and can be pushed back out of the way. The interface thus essentially hovers over your field of vision, projecting a virtual screen about the size of a deck of cards maybe nine inches away from your eye. I don’t know the resolution of the projected image, but it was crisp and detailed, though with some slightly washed-out colors. Cool Glass includes dedicated camera and augmented reallity buttons. Currently, Cool Glass can livestream, take still pictures, or record video from its embedded 8-megapixel camera, make calls, read messages, provide navigation functions, and even provide some form of augmented reality, according to Alto Tech representatives. Company representatives allowed me to try out the English-language version of Cool Glass, and it works, to an extent: I was able to record video using the camera, and navigate through the interface. But Cool Glass wasn’t connected (it uses either Wi-Fi or Bluetooth to pull data to and from your phone) and augmented reality is currently only available in the Chinese edition, I was told. Users navigate through the menu system by swiping forward and back (for right and left) onto the touchpad built into the right-hand frame of the glasses, tap to select, and then down to go back in a series of menus. Swiping felt easy and intuitive, although Cool Glass seemed to have an issue or two registering taps. There are also dedicated buttons for triggering the AR function and the camera, built into the top of the frame, plus a power button. A carrying case doubles as a charger. For the $500 purchase price, you also receive a carrying case that doubles as a charging dock, complete with an external USB port, presumably for downloading images or video captured and stored on the device’s 8GB of internal storage. It’s not clear how long the stock battery will last, however. If Google ever does release a consumer version of Glass, it will almost certainly be priced at less than $1,000, especially now that more and more VR devices are being announced and shown to the public. But for right now, if you’re interested in trying out Glass for yourself, and for a reasonable price, you may have just a few months to wait.